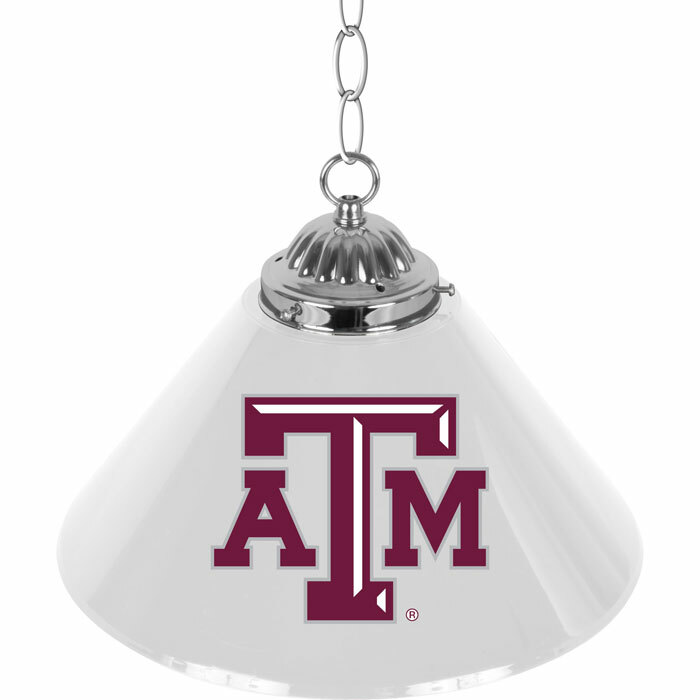 Illuminate your game room, garage or collection with an officially licensed Texas A&M, 14 inch Single Shade Bar Lamp. This premium lighting fixture looks great on or off with officially licensed logos on both sides of the polyresin shade. The shade is accented by polished metal hardware and chain. Over nine feet of cord provides many hanging options. Brighten up your favorite area with this one of a kind officially licensed single shade bar lamp.